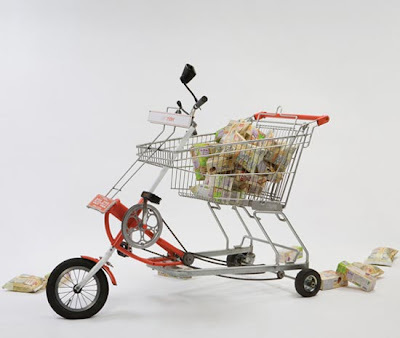 The Cartrider, an interesting idea combining a shopping cart and a bicycle by designer Jaebeom Jeong. 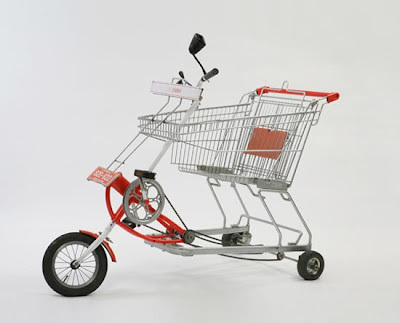 The design is inspired by the scene at the supermarket where the parents often put their children in a shopping cart, whilst shopping. 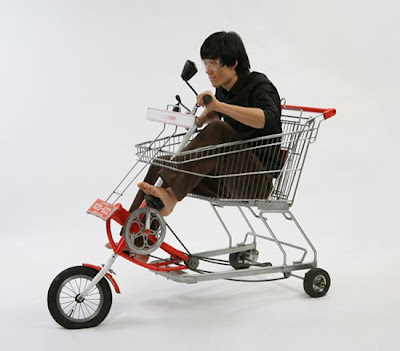 And the interesting part would be the 'Cartrider' could be driven by children to do their own shopping. It will be exhibited at Hongik University, from October 21st to 25th, 2008.